In Ireland, St. Stephen’s Day, the day after Christmas, is one of nine official public holidays. 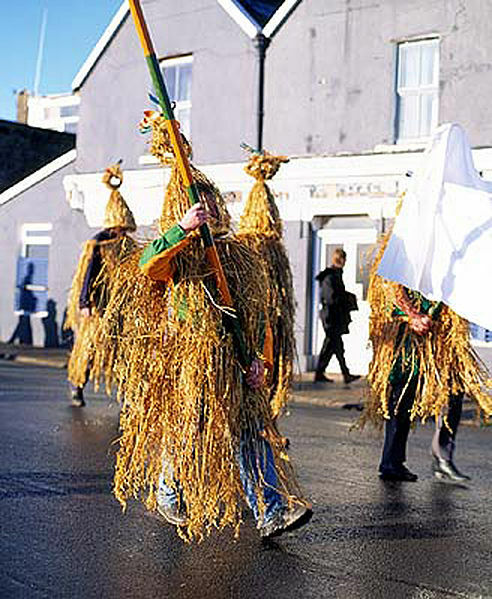 In Irish, it is called Lá Fhéile Stiofán or Lá an Dreoilín, meaning the Day of the Wren or Wren’s Day. When used in this context, “wren” is often pronounced “ran”. This name alludes to several Irish legends, some linking episodes in the life of Jesus to the wren. Although not practiced often anymore, in certain parts of Ireland people carry either an effigy of a wren or an actual caged wren through the streets. They travel from house to house playing music, singing and dancing.